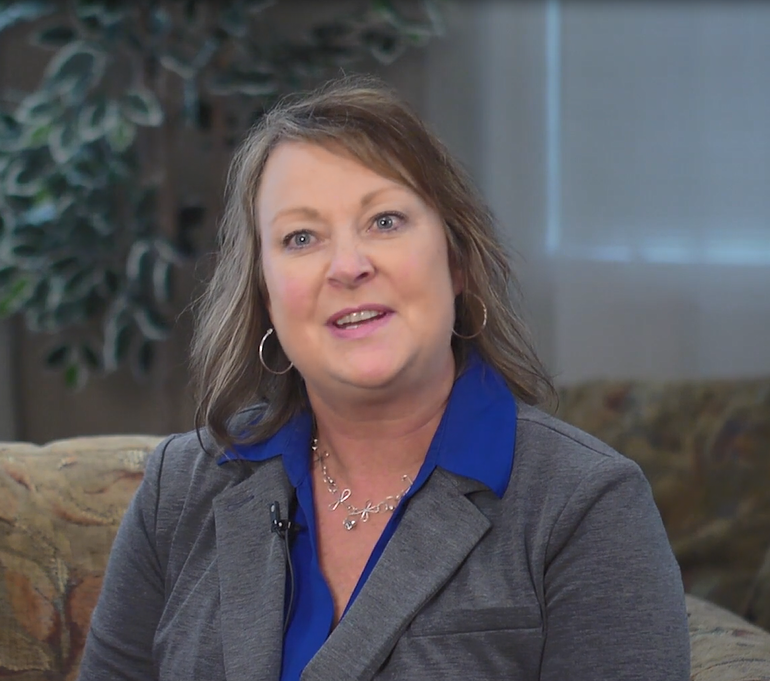 Terri is an Advanced Dermatology Care patient and Melanoma Survivor. Read her inspiring story below to learn how she caught her Melanoma skin cancer early and had a life-saving surgery at ADC. My name is Terri. I live in Stillwater with my husband and two children. I have another daughter and two grand kids who live 10 miles away from us. I am a family gal. In my spare time, I love to golf, spend time by the pool, spend time up north at the cabin, and downhill ski. Two day later, I received a phone call telling me I had Melanoma skin cancer. I am the type of person that takes bad news in stride. I have a mantra, sort of, “Not worry until you have to worry.” She said, “I want you to understand , you have a very dangerous form of skin cancer. In fact, it is the most deadly form of skin cancer, if not treated early on.” Again, I didn’t want to worry until I had to worry. I took the next steps to get my surgery scheduled. 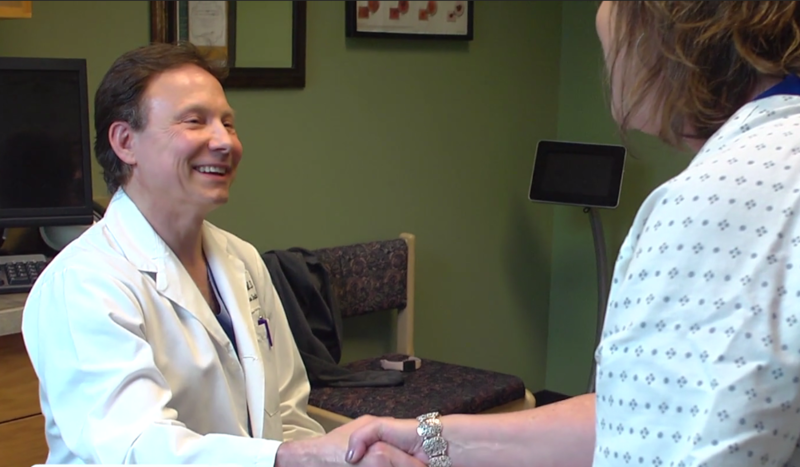 I was in to have surgery with Dr. Rustad within a 2 week period of time. The process was so smooth, it never really hit me that I had Melanoma. They kept in very close contact with me, so I knew exactly what was going to happen. They explained what was going to be happening in the surgery. 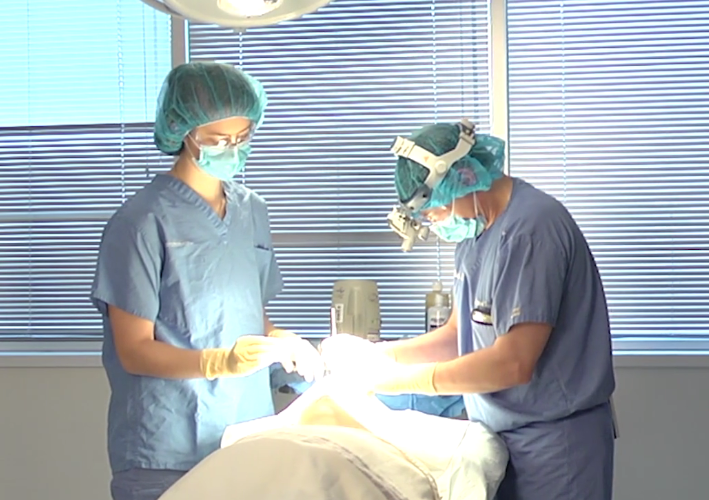 When Dr. Rustad did my surgery, he did such a beautiful job patching me up. You can hardly tell I have a scar on my back. If I had not been coming to Advanced Dermatology Care for my scans, I would have not caught this mole. Because I caught my melanoma early, the surgery was enough to rid my body of cancer. I did not have to do chemo or radiation. Now, I am cancer free! After I was diagnose d with my Melanoma cancer, I was with one of my cousins, and she had an odd looking spot on her arm. I encouraged her to also go and get her skin checked. She had the spot looked at and found out she also had Melanoma. I feel like I am very aware of Melanoma—not only for myself, but for my friends and family. I would pass the word that it is important to take care of your skin and get your skin checked because a small mole can turn into a very dangerous form of cancer. The provider’s here ad ADC caring, kind, conscientious, and thorough. My family and I have been patients here at Advanced Dermatology’s clinic for about 5 years, and it has been a great experience. Are you at a higher risk of developing Melanoma? Take the quiz to find out.